Your baby isn’t going to be a baby for very long. One minute, you’re going to be sitting in the hospital looking down at your beautiful new baby as he or she rests comfortably in your arms for the very first time. And in what feels like just the blink of an eye, you’re going to be looking on as your baby learns how to roll over, sit up, crawl, stand, and eventually walk. It all happens so quickly, which is why you should savor each and every moment. One of the best ways to make the most of your baby’s earliest moments is by investing in newborn photographs. 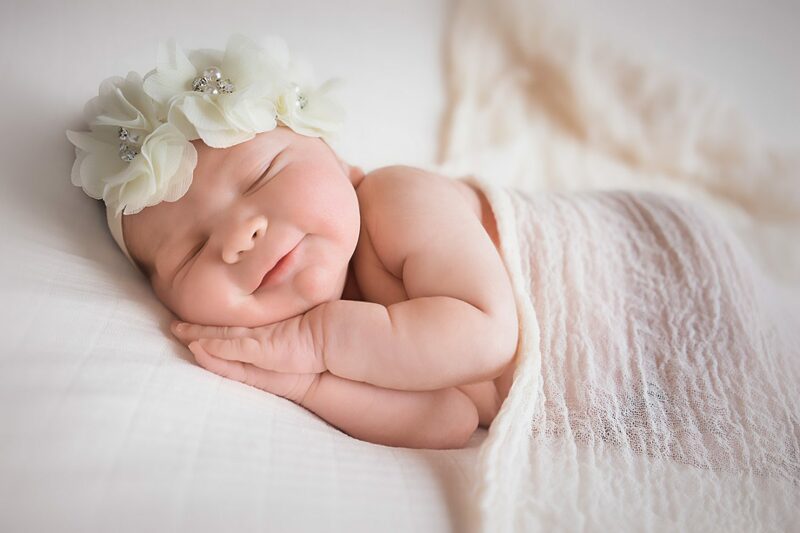 These photos will allow you to capture your newborn in a bunch of adorable poses so that you can look back on your child as a baby for many years to come. Ideally, you should make every effort to have newborn photographs taken within the first two weeks of your child’s life. You should also resist the urge to take newborn photos on your own and call on someone who has plenty of experience photographing babies for help. Here are 9 reasons why you should hire a professional newborn photographer for your newborn photographs. As the parent of a newborn, you’re likely very protective of your baby. But don’t worry! Professional newborn photographers are highly skilled when it comes to working with babies. When photographing newborns, safety is my top priority. I’ll be extra gentle with your little one and make sure that they’re safe throughout their newborn photography session. I’ll also work to put your mind at ease if you have any concerns about the safety of your child. From blankets and baskets to hats and headbands, there are so many different props that you’ll want to incorporate into your newborn’s first photo shoot. 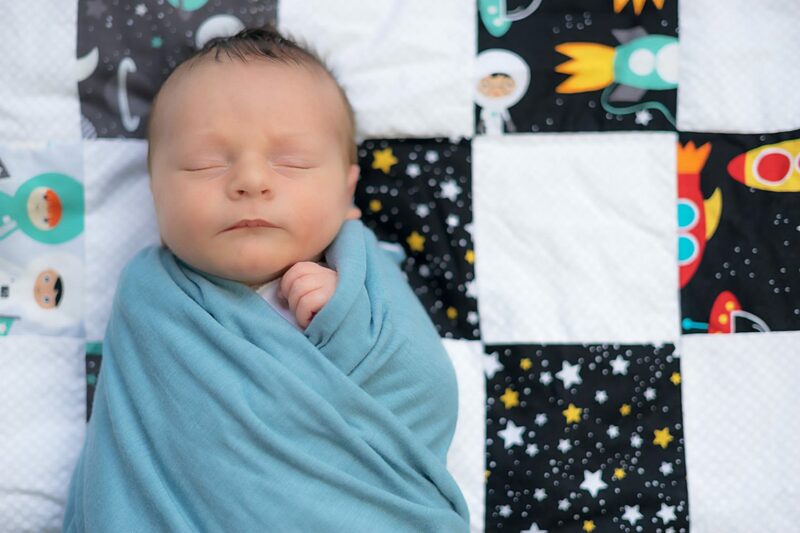 If you want something very specific incorporated into the session, like a personalized blanket or toy, I’ll happily work it into your newborn’s photos. But otherwise, most professional newborn photographers will be able to provide you with the props you’ll need for your baby’s photo session. They’ll also bring a space heater along to make sure your baby is comfortable throughout the duration of the photo shoot. One of the reasons why it’s a good idea to photograph newborns within 14 days of their birth is because they’re still relatively easy to pose during that time period. But even still, it can be a challenge figuring out ways to pose them and how to position them safely. 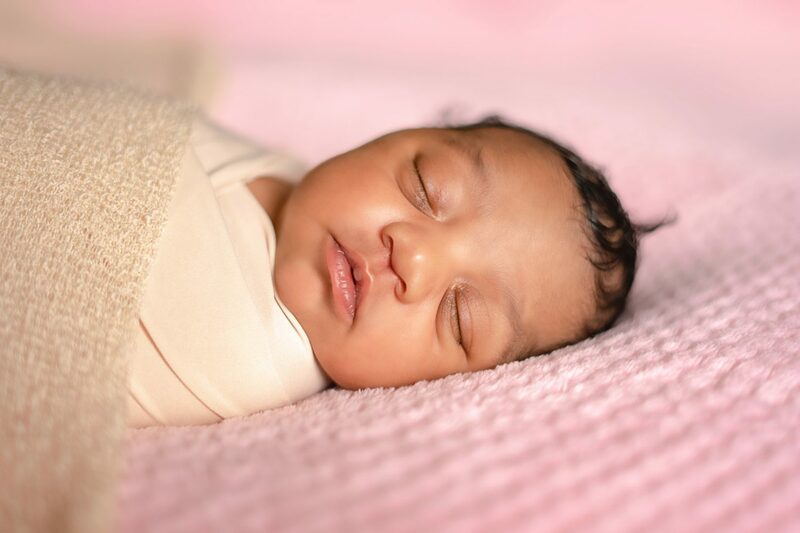 You may have seen newborn photos with babies swaddled in the cutest little poses or laying peacefully in baskets or swings. While these are adorable, they can also be potentially dangerous if you don’t know how to pose newborns properly and safely. In some cases, the baby is actually being held in place and hands are later editing out. 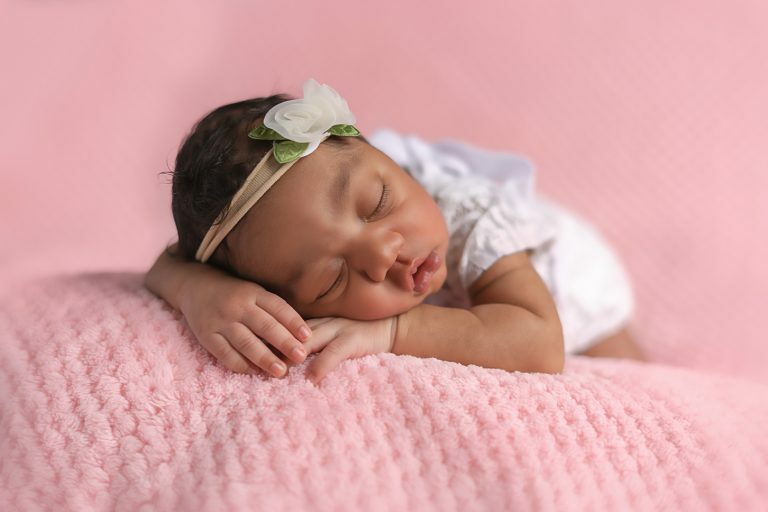 Professional newborn photographers are very patient and will use their experience to find a way to photograph your baby in a variety of different poses. They’ll also work to bring any ideas that you might have to life. 4. Your newborn portraits will be lit, photographed, and edited to perfection. 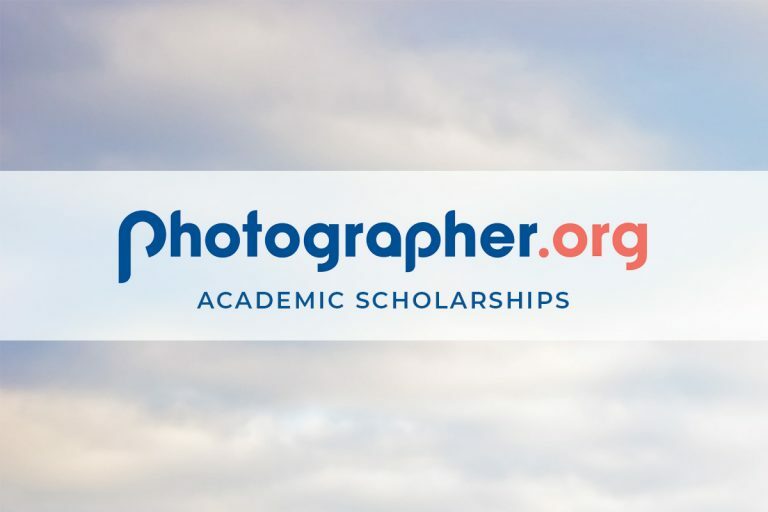 You may have just gotten a nice camera, or have a friend or family member who has a DSLR. But photographing newborn portraits requires so much more than a good camera. Newborn photographers know which angles work best, how to position the light properly, what equipment to use specifically for all the tiny little details. While the goal is always to get great photos during the photo session, editing the images allows a photographer to enhance them to showcase how beautiful your new baby is. It also gives photographers an opportunity to correct any imperfections you’d like edited out of photos. There are many babies who have red blotches, flaky skin, baby acne, and other conditions that you may not want to show. Some parents prefer to leave some of these characteristics in their newborn’s portraits, while others prefer the look of perfect baby soft skin. I’ll consult with you first, so you can decide on the level of retouching you’d like for your baby’s portraits. Newborn parents have so many things on their plate at the start of their child’s life. In between feeding your baby, changing your baby’s diaper, and trying to get your baby to sleep so that you can get some sleep yourself, there is so much to do! Hiring a professional newborn photographer will take one thing off your plate and allow you to take some time to breathe while you watch someone else photograph your baby. At the end of the process, your newborn photographer will provide you with photos of your baby that you’ll be able to cherish forever. They’ll also provide you with some unique ways to show off the incredible photos that they’ve taken. You can use your newborn portraits to create an album you can flip through, wall art for your baby’s nursery, or gifts for grandparents. I offer a selection of hand-crafted albums, canvas and acrylic wall art, premium quality prints, and other items that will showcase your newborn portraits beautifully. Regardless of how you want to display your photos, your newborn photographer can guide you to the right options for your family. Occasionally, some parents are hesitant to invest in newborn portraits because of the cost that comes along with it. While it would save them some money to take photos with their own cameras or smartphones, I often hear from parents how much they regret not having newborn portraits of their older children. But you’d be hard-pressed to find many parents who regret making the decision to invest in newborn photos of their children. Your little newborn will change so quickly that, in just a few short months, it will be hard to remember how tiny and squishy they were. Once everything is all said and done, most parents are glad that they made the decision to invest in photos that will help them remember the short time when their babies were still babies. Interested in learning more about hiring a professional newborn photographer to take photos of your new child? Racquel Marie Photography would love to speak with you about it! Call us at 609-557-7453 today for additional information about scheduling a newborn photo shoot.